Home News National Who is the fairest owner of them all? Who is the fairest owner of them all? NEW YORK — The story of America’s oldest synagogue, as told by retired Supreme Court Justice David Souter, is the story of American Jewish history. Touro Synagogue in Newport, RI, Souter wrote, was built in the 1700s by Sephardic merchants whose community then declined. In the late 1800s, Eastern European Jews arrived in the area, occupied the building and have used it to this day. Since then, heirs of the older Sephardic community have tried to maintain a foothold in the historic synagogue that they consider theirs. On Aug. 2, Souter awarded a victory to the Sephardim. Writing an appeals court ruling on a lawsuit over who owns Touro Synagogue, Souter — who has regularly sat on the court following his 2009 retirement — wrote that the building and its centuries-old ritual objects all belong to Congregation Shearith Israel, a historic Sephardic synagogue on the Upper West Side of Manhattan. The decision reversed an earlier district court decision that gave ownership of the building — and the multimillion-dollar artifacts — to the group that worships there: the Ashkenazi Congregation Jeshuat Israel. It’s an odd — and oddly enduring — dispute being played out in an American courtroom. Souter’s ruling is a primer on nearly 400 years of American Jewish history, and a dispute that touches on historical tensions between Sephardic Jews with roots in Spain, Portugal, North Africa and the Middle East, and Ashkenazi Jews with roots in Eastern Europe. Old-time members still wear top hats, and it still worships in the distinctive Sephardic style passed down from its founders, complete with a cantor in robes and choir. Some Shearith Israel members are descended from the original families that started the congregation four centuries ago. Jeshuat Israel, founded in 1881 as Ashkenazi immigrants began flooding America from Eastern Europe, has worshipped at Touro for more than a century. For a time, according to Souter’s ruling, its members occupied the synagogue illegally, praying there even as Shearith Israel sought to keep it closed. Only in 1903, following a court battle, did the two groups sign a contract establishing Shearith Israel as the owner and giving Jeshuat Israel a lease on the building. According to the terms of the contract, Jeshuat Israel must pray in the Sephardic style — its own identity be damned. Seeking to form an endowment, Jeshuat Israel arranged in 2011 to sell a pair of handcrafted, 18th-century silver bulbs, used to adorn Torah scrolls, to the Museum of Fine Arts in Boston, where they were on loan. But Shearith Israel objected to the $7 million sale and sued Jeshuat Israel — both because Shearith Israel said it owned the ornaments and claimed the sale violated Jewish law. The district court had ruled in Jeshuat Israel’s favor on the grounds that it occupies the building and that Shearith Israel had failed in its trustee obligations. Now, says Gary Naftalis, Jeshuat Israel’s lawyer, the congregation is “reviewing our legal options going forward.” Jeshuat Israel could ask the appeals court’s full panel of judges to review the ruling, and may petition to have the case heard by the US Supreme Court. But even as Shearith Israel has retained ownership of America’s oldest synagogue, it no longer reflects the community that American Jews have become. 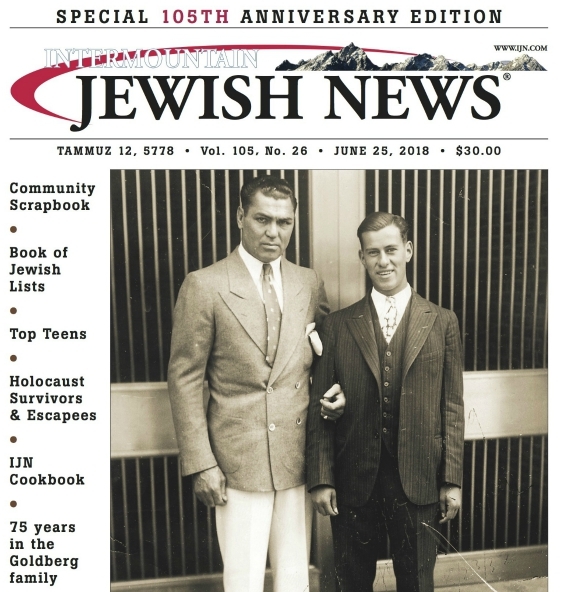 The families who founded America’s first Jewish congregations — exiles from Spain and Portugal via Amsterdam, London, Brazil and the Caribbean — likely would not identify with the largely Ashkenazi, American Jewish community of 350 years later. Still, part of the New York congregation’s appeal is its anachronism — led by a cantor and choir in an era of lay leadership, formal in an era of casual dress, Sephardic in an Ashkenazi-led community. Now, even if it no longer owns the American Jewish present, it can say that it still holds title to the American Jewish past.